Are You Polluting Your Own Home? When it comes to indoor air quality, impossible-to-see pollutants can prove harmful to human health—and our behavior may be making matters worse. Common allergens—from dust and pollen to your pet’s dander—are just one example of the indoor air pollutants that can be mitigated by an air purifier. For most of us, our houses are sanctuaries, insulating us from the perils of the outside world. We light scented candles to unwind. We read by the fireplace. We cook wholesome meals and later, perhaps, watch TV with the dog or the cat, secure in the knowledge that all is well. But things aren’t always as idyllic as they seem. Being indoors, it turns out, poses its own unique set of risks. Candles, gas stoves, and pets are just a handful of the countless hazards that make home air pollution a major health concern—a threat exacerbated by the fact that the average American spends 90 percent of his or her life indoors. 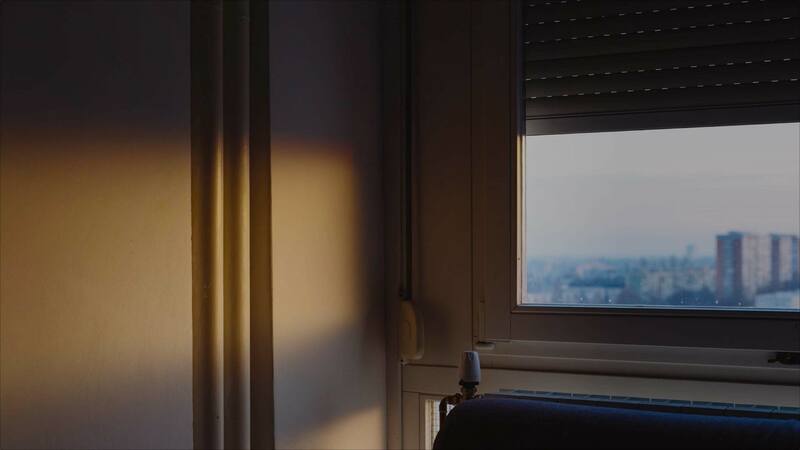 It may come as a surprise to learn that the things we do to make our homes more hospitable can lead to asthma, respiratory issues, allergic reactions—or worse, poor indoor air quality, which affects a wide swath of the global population. In fact, it’s estimated to have killed 260 million people in the 20th century alone—and claims more lives each year than malaria, tuberculosis, and H.I.V. and AIDS combined. Indoor air quality is a critical component of maintaining your health. But it turns out that most people have no idea what they’re breathing in on a daily basis. Hair spray fumes can compromise indoor air quality and should always be used in a well-ventilated area. Inhaling even small amounts might cause some coughing, choking, or difficulty breathing. A quick spritz in the air may make your home smell better, but the chemicals air fresheners emit can cause health complications. It’s recommended that you use an air purifier instead. You may think that “green” products improve your air quality, but the fumes can be harmful to your lungs. Some experts recommend going back to basics, like vinegar and baking soda, for cleaning solutions. Lighting your favorite scented candle may make your home smell better, but the chemicals they emit can pollute the air. It’s recommended that you avoid scented paraffin-wax candles, and opt for an air purifier instead. Gas ranges can worsen—or cause—various respiratory ailments. Range hoods are absolutely necessary and can help mitigate health risks. Improperly flued or vented fireplaces can increase smoke concentration, potentially contributing to serious illnesses like bronchitis, pneumonia, and asthma. It’s advised that you limit using your fireplace—plus, having it inspected could help mitigate these problems. Carpets trap dust, dirt, pollen, mold spores, pesticides, and other materials that can significantly impact indoor air quality. Vacuuming frequently will help keep things tidy, but older carpets may need to be tested for harmful toxins like benzene and acetone. They can be replaced with eco-friendly alternatives made from sisal, jute, or wool. The exhaust from your car contains gases and particulates, which are harmful to the lungs and have been linked to cancer. Having an attached garage can significantly increase the chance that these gases will seep into your home and impact your air. Vacuuming and dusting, as often as possible, is a key part of keeping your home relatively dust-free. It’s important to invest in a vacuum whose filter specifically targets allergens. Vacuuming and dusting weekly can keep your home relatively dust-free, though not completely. It’s important to invest in a vacuum with a filter that specifically targets allergens and to clean on a weekly basis. Vacuuming every other week will do a pretty good job at keeping your home relatively dust-free, though not completely. It’s recommended that you increase the frequency to once a week and invest in a vacuum with a filter that specifically targets allergens. You may think that cleaning once a month or less is sufficient, but infrequent cleaning can significantly increase dust buildup, which contributes to allergies and worsens conditions like asthma. It’s important to invest in a vacuum with a filter that specifically targets allergens and to clean on a weekly basis. One unfortunate culprit of polluted indoor air may be your furry friends, like cats and dogs. Their dander, composed of tiny flecks of skin, can exacerbate asthma and allergies. If you can’t live pet-free, keep animals out of your bedrooms, try to limit the pet from coming in contact with upholstery, and clean your home often. You’d think that having houseplants would help purify the air, but according to experts, that isn't always the case. It’s important to do your research: Some plants release harmful gases and carry pesticides, bacteria, and more, while other plants such as peace lilies and ficus plants are beneficial for their proven air-purifying qualities. That brand-new smell from your furniture may be caused by harmful gas emissions. Replace your furniture with sustainable, nontoxic upholstered alternatives, if possible. A 2007 study found that laser printers emit ultrafine lung-damaging fumes. In addition to investing in an air purifier, you should keep your home office well ventilated. Despite the government’s regulatory attempts to ban them, toxic chemicals like asbestos and radon can still be present in your home. If you’ve done renovations, there’s a chance you have disturbed these chemicals and made them airborne. It is recommended that a professional runs tests and assesses your home for risk. Despite the government’s regulatory attempts to ban them, substances like asbestos and radon can still be present in your home. Leaving home renovations to professionals decreases the risk that these chemicals will be disturbed, but it’s still advised that you bring in a professional to inspect the property. But the threats to our health aren’t always easy to detect. To show that, Dr. Zhang and a group of colleagues developed an intelligent sensor that tracks even the smallest particles of indoor pollution, then used the sensor to monitor air quality in five Michigan homes. The study’s subjects were selected because they reported that they felt unwell but were unable to identify why, according to Dr. Zhang. Home pollutants can often be linked to our own indoor behavior, experts say. The chemical by-products of combustion—from cooking or candles, for instance—can be deleterious. Noxious particulates, known as volatile organic compounds, are a typical but lesser-known threat and may come from furniture, the “brand-new” smell of which is actually caused by an irritant. Some pollutants, however, are simply beyond our control. There are, of course, the mostly unavoidable common allergens such as dust, pollen, and pet dander. Poisonous substances like asbestos and lead can become airborne during construction. Then there are biological irritants like mites, mold spores, and mycotoxins produced by fungi. Mold exposure alone, according to one study, is responsible for millions of asthma cases in the United States. Symptoms of indoor air pollution vary, ranging from chronic colds to dizziness, skin rashes, and shortness of breath. More serious illnesses may include pneumonia, asthma, respiratory infections, pregnancy complications, and—in some cases—cancer. Researchers have been investigating the causes of poor indoor air quality “since at least the 1880s,” according to Brent Stephens, Ph.D.,an expert on indoor pollutants at the Illinois Institute of Technology’s Armour College of Engineering. The EPA now pegs indoor air quality as two to five times worse than that of outdoor air, but little is done at the policy level to ensure that people breathe healthy air inside. Homeowners, for the most part, need to self-regulate if they want to ensure their air is clean, according to Patricia Fabian, Sc.D.,a professor at Boston University’s School of Public Health, whose research has focused on indoor air quality. “With indoor air, a lot of the responsibility falls on the resident,” Dr. Fabian says. “They need to know what things increase concentrations of what—whether it’s allergens, pesticides, combustibles.” Indeed, indoor air pollution receives considerably less research funding than outdoor air pollution, which means the onus is mostly on the home dweller to decide how clean his or her air should be. According to indoor pollutant expert Dr. Brent Stephens, your indoor air quality can be much worse—sometimes 10 times worse—than outdoor air, and most of those pollutants are actually highly tied to your household activities. Having a healthy home often starts with challenging conventional wisdom. For example, houseplants, air fresheners, and “green” or “natural” products like cleaners and essential oils sometimes cause more harm than good, as they can release organic chemicals of their own. Opening the window, using a fan, or running your air conditioning unit may seem beneficial, but it can actually just exacerbate your dust and dirt problem by moving around already polluted air rather than eliminating it. Learn the origins of the country’s first indoor air crisis, and calculate how much time you’ve spent indoors. Other times, addressing indoor air pollution is a matter of assessing your behavior. Turning on the range hood while cooking is always a good idea, as is refraining from smoking indoors (and in general), using hair spray and perfume, or lighting a fire. While these choices are critical, experts agree that it’s important they’re made in tandem with equipping your home. Simple fixes—like buying an air purifier that automatically works for you, or a good vacuum that won’t simply stir up pollutants within your home—can make a big difference. And if opting for an air purifier, make sure your model features not only sealed HEPA filters to capture harmful particles, but a purifying fan that circulates air around the whole room, not just the space around it. 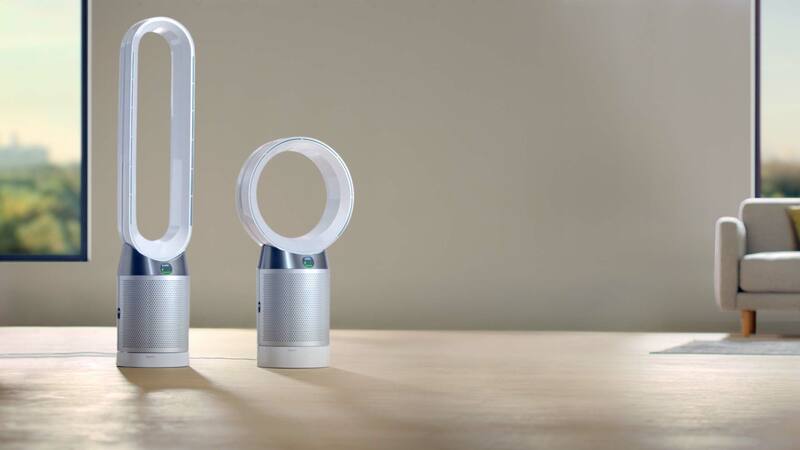 Learn more about how Dyson air purifiers could improve the air quality in your home. Check out specific recommendations based on the indoor air quality factors you’ve selected by picking an option above.